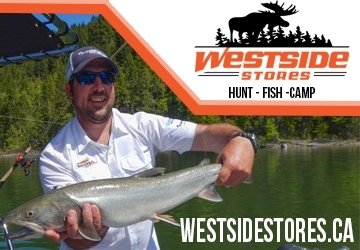 The Thompson – Nicola (Region 3) is host to one of the foremost Kokanee fisheries in southern British Columbia which is Monte Lake. Monte Lake is located approx. 45 kms SE on Hwy 97 from Kamloops and 25kms NW from Falkland. The lake has a surface area of 435 acres and a max depth of 120 feet. The lake has a decent boat launch that can accommodate any size of fishing boat. If you are planning on staying over night there are two campsites near the lake. The BC Freshwater Fishery Society stocks the lake annually with between 15,000 to 25,000 Triploid Kokanee. 10,000 Blackwater Rainbow Trout are also added each year. Over the past 4 years this Kokanee fishery is starting to get a lot of attention as it can produce Kokanee over 3 pounds! The middle of the lake is divided with a large bench that separates the two deep sections on each end. In the winter seasons this shelf area produces well, where in the late spring and early summer months targeting the 100+ foot depth areas of water tends to produce more fish. Since the lake is located next to Hwy 97 and the railroad their is a lot of good access for shore fishing. During the early spring you can catch Kokanee cruising the shallow water along the shorelines feeding on small insects. 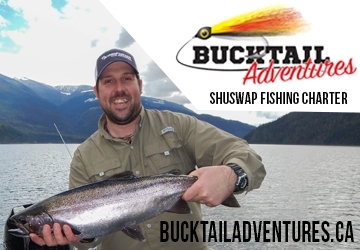 Trout averaging 2 pounds can be caught from shore as well. 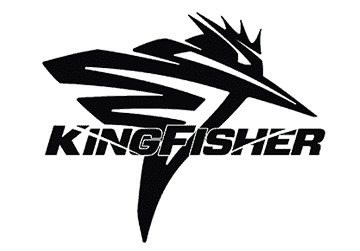 Near the drop off ledges of the shore try float fishing and using Krill as bait for Kokanee. You can target trout by using traditional terminal tackle such as Panther Martin spinners, Gibbs Kroc spoons or a simple float and worm. The south end boundary of the lake provides deep water fishing within casting range. 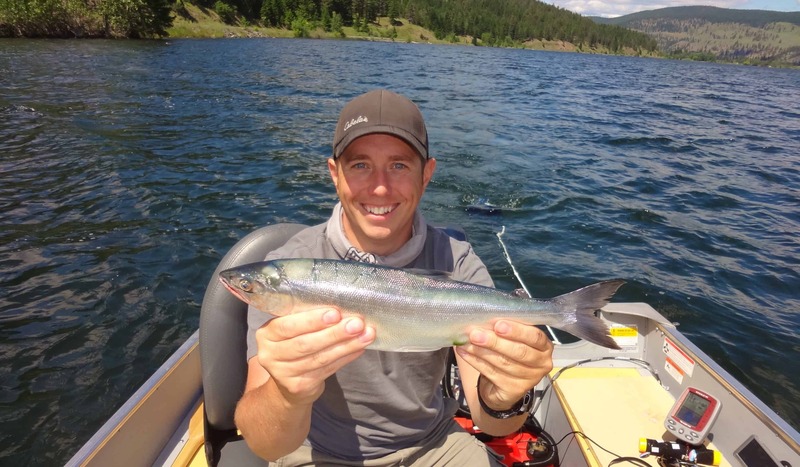 The ideal way to fish this lake for Kokanee is by trolling. The use of small willow leaf flashers with red or pink wedding rings tipped with pink maggots will bring you decent results. 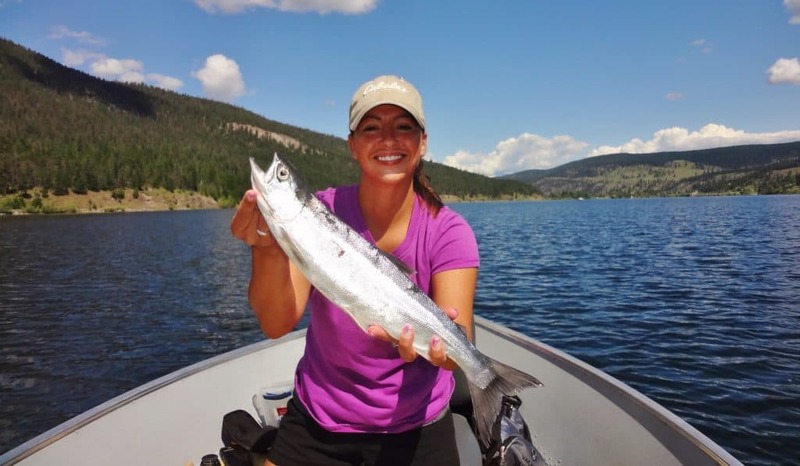 Remember that Kokanee have very soft mouths so the use of a rubber snubber is highly recommended and will help you get these fish to the boat. Be sure to bring weight from 1 to 4 ounces to target the depths of where the fish are marking on the sonar. At a trolling speed of 1.5mph every ounce of weight will take your line down approx 10 feet. 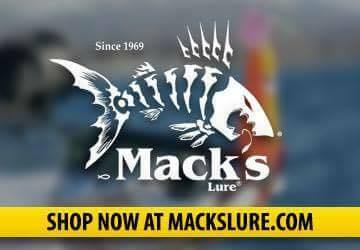 If your boat is equipped with downriggers then I recommend using a Mack’s Lure Sling Blade Dodger or Double D Dodger, with a 8 to 12 inch leader tied to a Kokanee Hoochie, pink, red or orange. Again tipping your lure with pink or chartreuse maggots will help seal the deal. This lake can become very windy very quickly! When trolling for Kokanee I always troll with the wind for a couple of reasons. Trolling with the wind stops the front of the hull of the boat from slapping on the water. 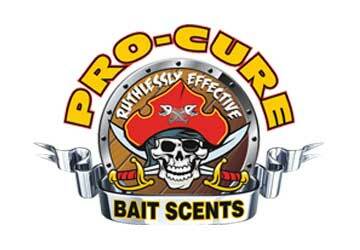 This slapping sound also repels fish away from your boat and presentation. Kokanee feed on Plankton, but mainly Zooplankton. When the wind blows and stirs up the water you will find that most of the Kokanee will be facing the wind waiting for the plankton to come to them. This allows the fish to use less energy while waiting for the food source to come to them; this is especially true in the hot summer months when the fish are less active in the warmer water. Trolling with the wind will put you in the right direction where the fish will see your presentation the most. In most cases the wind on Monte Lake blows from West to East, so I mainly target the East end of the lake as it pushes the forage to that end. Pringle Creek is also located on the end of the lake. The outflow of the creek creates a bit of a current that I find that the Kokanee seem to huddle around. 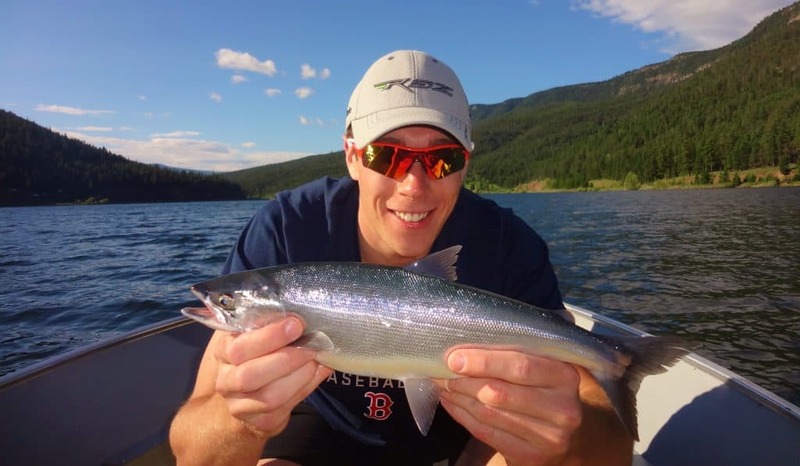 For more detailed Kokanee fishing tips and techniques check out BC Fishn’s article: Understanding Kokanee & Fishing Techniques. Even though Monte Lake receives a lot of angling pressure in a year it still will not disappoint. The BC Freshwater Fishery Society and the Province have done an excellent job in managing this fishery. Monte Lake provides excellent angling opportunities for families and every level of angler to enjoy an impressive fishery with easy access. 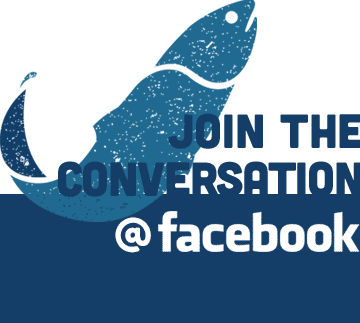 If you have any questions about Monte Lake Kokanee fishing please feel free to contact us through email or on our Facebook Page.